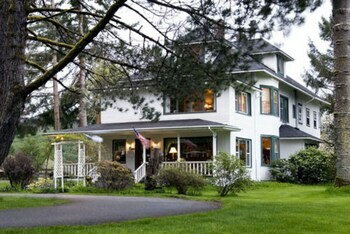 Located in Forks, Miller Tree Inn is in a rural location, within a 10-minute drive of Forks Timber Museum and Bogachiel State Park. Featured amenities include a library and coffee/tea in a common area. Free self parking is available onsite. Located in Forks, Kalaloch Lodge is in a national park, within a 15-minute drive of Kalaloch Public Beach and Clearwater State Park. Free self parking is available onsite. A stay at Pacific Inn Motel places you in the heart of Forks, a 3-minute drive from Forks Timber Museum and 7 minutes from Bogachiel State Park. Free self parking is available onsite.